1. Briefly explain what a toji does? Toji is usually translated as “master brewer.” He (or, very occasionally, she) is entirely responsible for the practical business of brewing in a particular sake brewery. 2. What made you decide to become a toji? 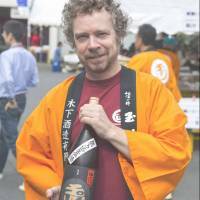 I started as a sake brewery underling and never stopped, until the point when the toji of the brewery I was working for at the time moved on, and the owner asked me to take over. 3. You’re the only foreign-born toji in Japan. Would you encourage others to follow your path? I’ve had a good time, but you need to have a high tolerance for long hours, heavy labor and modest paychecks to last in this industry. 4. What do you miss about Cornwall/the United Kingdom? In the U.K. in general: beer, cheese, family, friends, British humor, conversation in my native language, green and pleasant scenery (not necessarily in that order). In Cornwall in particular: wild, windswept scenery, stone circles, Cornish place names, the smell of legend. 5. What has a life making sake taught you? To brew successfully, you need to learn humility in the face of nature. Microorganisms make the sake and things have to run at their pace, which is not necessarily the most convenient for human beings. 6. Whom do you most admire? The brewing craftsmen I have worked with over the years, for their dedication, skill, humility and the wonderful things they have given the world to drink. 7. Where do you go to relax or retreat? I do a bit of free climbing when I can. It is a different set of challenges than work, with fewer complications. Otherwise, it is family, friends, books and music. 8. What’s your favorite Japanese word or phrase? All the onomatopoeias are fun. Some express a sound (eg. tonton for knocks on a door), some a texture (eg. nebaneba for things sticky or slimy) and some a physical or mental state (eg. kutakuta for brewing-season levels of weariness, meromero for a state of infatuation, pikapika for a state of extreme cleanliness — like the interior of the average Japanese train). 10. What is your first memory? Falling off a brick wall by a flowerbed at age maybe 3 or 4. More a memory of a memory, now. 11. What will you do when you retire? I will stop getting up in the middle of the night all through winter. 12. If you could share a bottle of sake with anyone from history, who would it be? Which sake would you share? My mum and dad, no longer with us. I have one last bottle with the label my mother designed, and will have to drink it without her. 13. What’s the key to making a high-quality sake? Paying attention. And teamwork. 14. Do you prefer your sake hot or cold? Both/either; depends on the sake, the mood, the season. Not too cold, though. 15. What’s the best thing about your job? And the worst? The best? Seeing smiles on people’s faces when they taste the sake. The worst? The nervous strain and general weariness of the brewing season. 16. What gets under your skin? Mosquitoes. 18. What would you say to someone who’s not sure whether to try sake or not? Life’s too short not to. 19. In vino veritas. In sake … satori? 20. Do you have any words of advice for young people? Pay attention. Don’t panic. 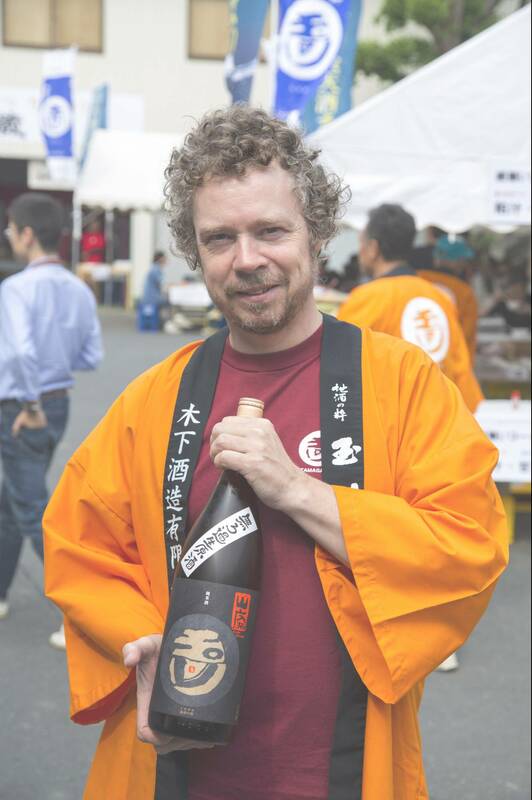 Philip Harper is the author of “The Insider’s Guide to Sake” (Kodansha International, 1998) and “The Book of Sake: A Connoisseurs Guide” (Kodansha International, 2006).